UGA College of Agricultural and Environmental Sciences \'Young Scholars Program\' 2018 Poster Session. 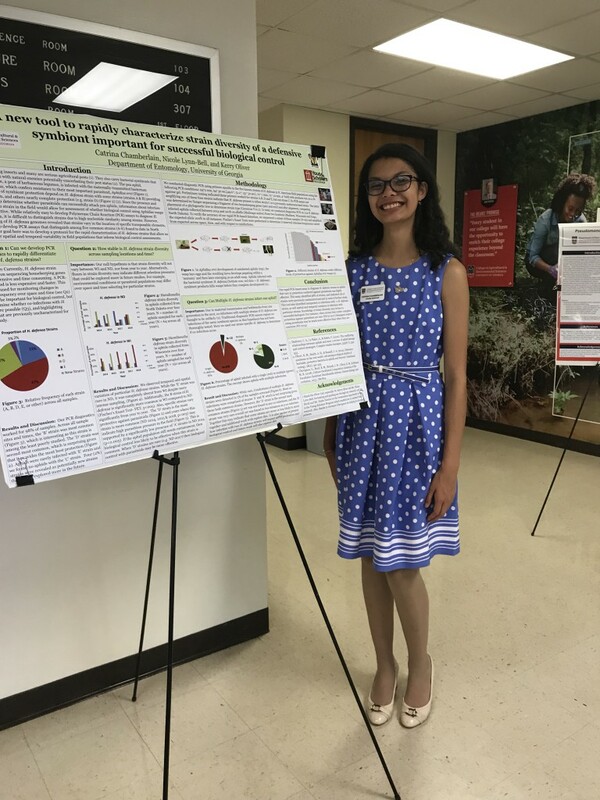 Catrina successfully completed her YSP research contributing to the development of a tool to examine a defensive symbionts' strain diversity. Her work was greatly appreciated and will be invaluable to future projects. Suzanne Allison joins the research team! 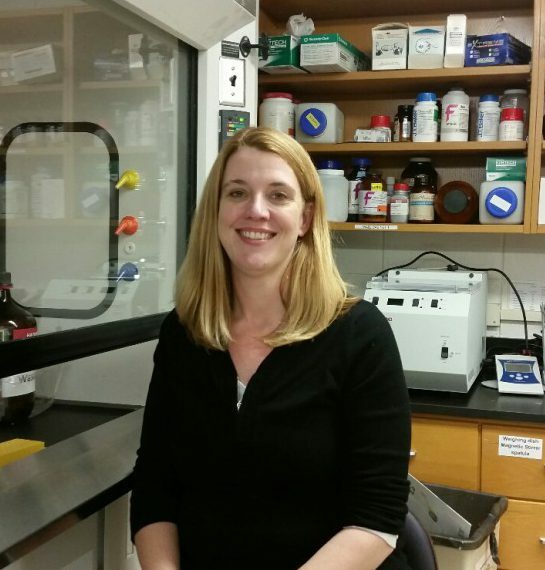 Suzanne Allison is an Entomology PhD graduate student who recently joined the Oliver lab. 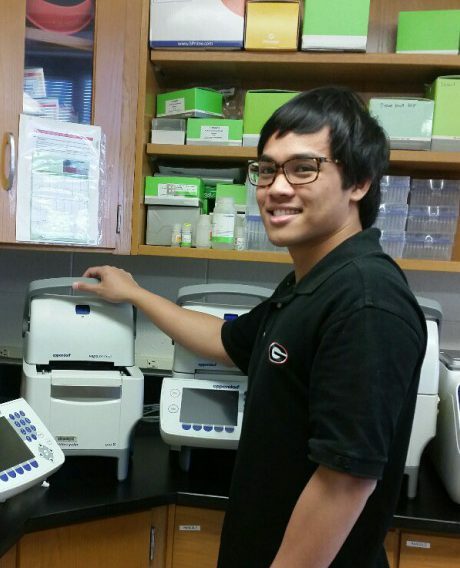 Dorbin Abendano is senior undergraduate whose major is in Microbiology. 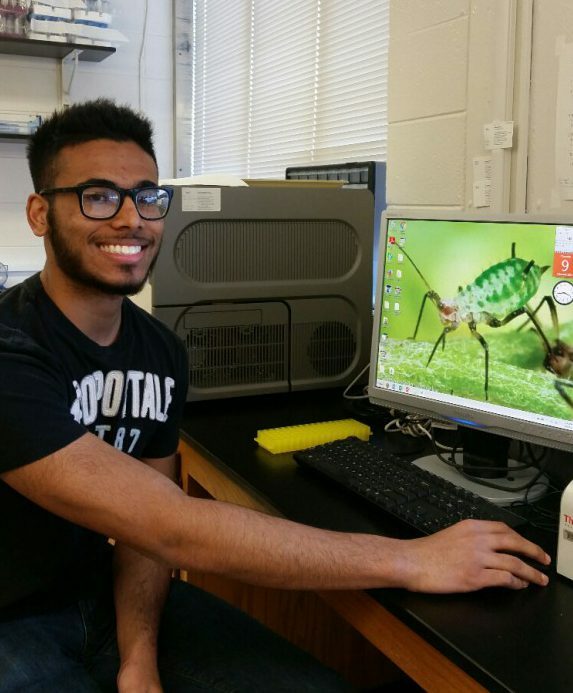 His research involved understanding the effect of a defensive symbiont and its associated bacteriophage on pea aphids\' protective phenotype. He worked alongside Nicole Lynn-Bell under the direction of Dr. Kerry Oliver. Bryan Kamalaker received the CURO assistantship for exhibiting outstanding qualities as an undergraduate student. He successfully completed a semester long research project under the guidance of Clesson Higashi and Dr. Kerry Oliver. His research was presented during the 2017 CURO symposium.